You’re considering taking an important step towards a better future in work or education abroad, and you’re looking for an overview of the IELTS exam. 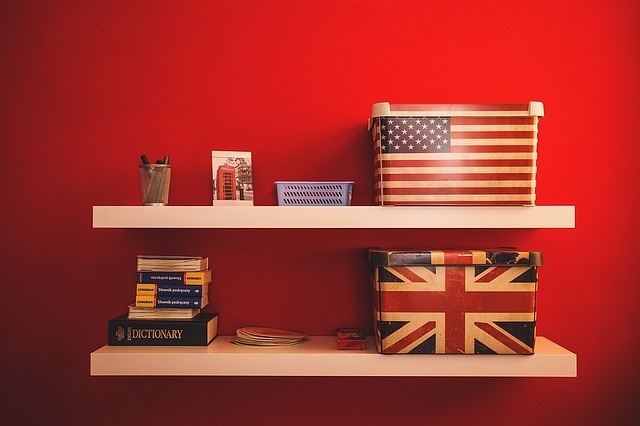 In this post, I’ll walk you through each of the four sections and give you an overview so you know if the IELTS is for you! Before we begin, just know that you have made a momentous choice to join over 3 million candidates who, in the past year, sat for the IELTS exam to provide proof of their English-language proficiency. This test opens doors throughout the world, so get ready to step through them! 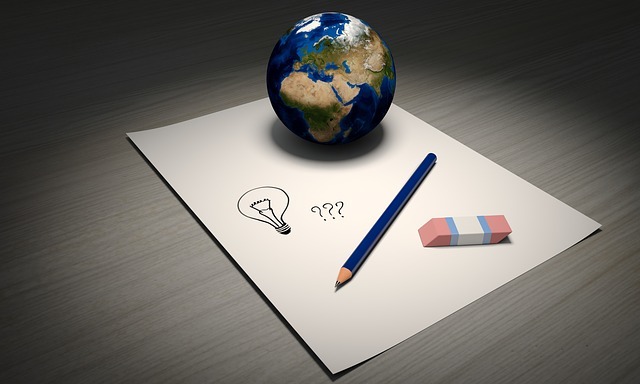 The International English Language Testing System (IELTS) exam tests candidates in the four areas of English-language use: Listening, Reading, Writing, and Speaking. It lasts 2 hours and 45 minutes and the Listening, Reading, and Writing sections are completed consecutively on the same day. Depending on the exam center procedures, you’ll complete the Speaking section from up to a week before to a week after the exam date. They will let you know when you register. The results of the test are used to demonstrate your proficiency in English-language use, and it is for candidates wishing to study, work, or migrate to an English-speaking country. There are two versions of the test, the Academic and the General Training, and the version you take will be determined by your goals and the institution you wish to study or receive professional registration at. Let’s take a look at differences between the two. 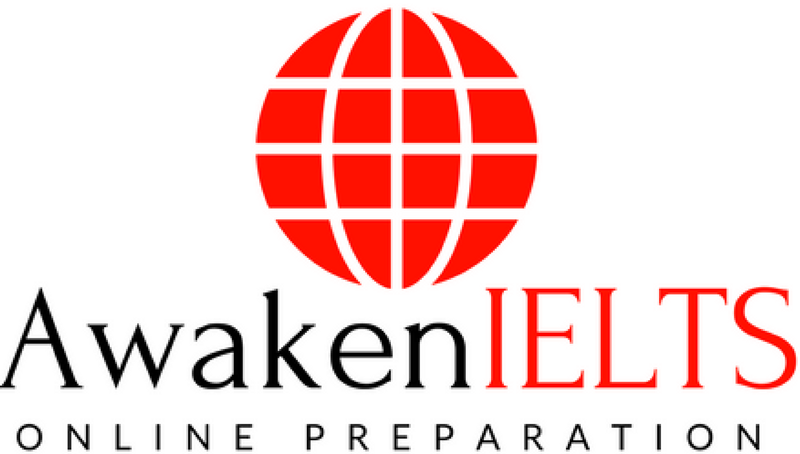 First, we’ll cover the Academic version of the IELTS exam. This version of the test is for candidates who wish to study at an institution of higher education, and it allows them to prove they are ready to participate in an academic or professional setting. There are 4 sections of the test: Listening, Reading, Writing, and Speaking, in that order. While the Listening and Speaking sections are exactly the same for both the Academic and General Training exams, the Reading and Writing sections differ. You will hear 4 recordings of English speakers. 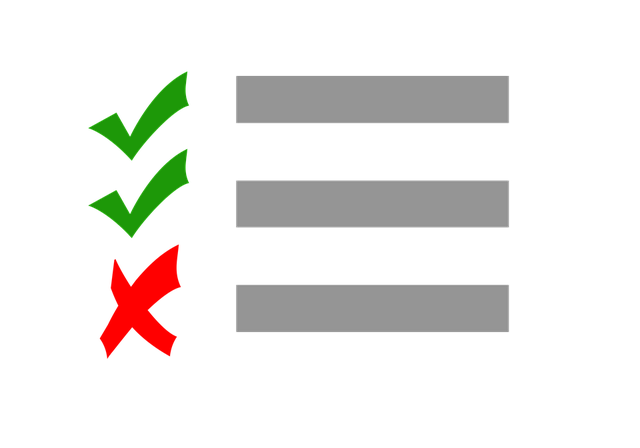 The test makes use of varying accents (i.e. British, American, Canadian, etc. ), so it is a good idea to prepare for all of them. You can find resources to do so in Study Guide 2. The listening section has 40 questions and lasts about 30 minutes with an extra 10 minutes to transfer your answers to the answer sheet. First, you’ll hear a recording of a social conversation between 2 people that often includes a transaction or exchange of information. The 4th is an academic monologue (e.g. speech or lecture about an academic subject)It’s important to note that although there are two recordings of speech in academic settings, they do not require specialist knowledge of the subject. The exam tests your ability to understand and produce English, not your knowledge of specific topics! The reading section lasts 60 minutes with no extra time to transfer answers, has 40 questions, and consists of 3 texts that grow gradually more difficult and test skills like skimming, scanning, reading for gist, and paraphrasing. It lasts You can find out how to improve these skills along with your speed here: Free IELTS Reading-Strategy and Sample Tasks. Academic: These texts are pulled from magazines, journals, textbooks, and newspapers, and they are intended for an audience entering a professional or academic setting. The texts are quite long, totaling 2,200-2750 words with 40 questions to answer in just 60 minutes. General Training: These texts are pulled from a more ‘everyday’ context. Think portions of texts from advertisements, books, newspapers, company handbooks, and notices. They are shorter than the academic texts but require the same skills to be used when answering questions. The Writing section lasts 60 minutes and consists of 2 questions. Academic: The topics of the tasks are directed towards those wishing to study in an undergraduate or postgraduate institution or earn professional registration. In Task 1, you’ll be presented with data in a visual format (i.e. graph, diagram, chart, etc.) and may be asked to describe in 150 words the main points of the data or steps in the process. In the longer 250-word Task 2, you may provide an opinionated solution to a problem or point of view in an argument and support your position. There is no technically ‘correct answer’ as long as you can support it. Use of personal and informal language is discouraged. General Training: Task 1 requires you to write a letter with tone ranging from informal and personal to formal based on the topic. Topics can include things like a request for information or an explanation of a situation. In Task 2, you’ll again respond to a problem or take a stance on an issue, but your response can be more informal in nature. The requirements for word count are the same (150 for Task 1 and 250 for Task 2). The Speaking Section consists of 3 parts and lasts 11-14 minutes. You can find a more detailed description of this section here: What is the IELTS Speaking Section. Part 1: The examiner will check your identity and ask you scripted questions related to familiar and personal aspects of your life, like your studies, your work, your family, or your interests. This part should help you feel more relaxed and comfortable. It lasts 4-5 minutes. Part 2: During the individual long turn, you’ll be given a cue card with a topic question and talking points that you should address in your response. You’ll also be given paper and pencil to take notes, so definitely do this during the 60 seconds you’re given to structure your response before the examiner asks you to start speaking. You’ll speak for about 2 minutes, and then the examiner will ask you 1 or 2 followup questions about your response. Part 3: You’ll discuss more abstract concepts related to your cue card in Part 2 with the examiner. You’ll be asked to give and support opinions, as well as offer more in-depth thoughts about the related issues. One of the biggest misconceptions candidates have is that you can ‘pass’ the IELTS. While you can certainly surpass the score required by the university or organization you wish to become a part of, the test is actually scored on a scale of 1 (non-user) to 9 (expert user). This means that there is no pass or fail, and to receive a 0 would require that you don’t show up or attempt any part of the exam. Each of the 4 sections is scored individually and then averaged together and rounded to give you your overall score. The 4 sections all count equally towards your overall score. In the Listening and Reading Sections, each correct answer out of the 40 questions earns you 1 mark. In the Writing and Speaking Sections, you’ll be graded in half band-score increments based on given criteria. You can click here to learn more about the Speaking Criteria. This is approximately the system used by IELTS, and your score will be rounded up or down to the nearest .5 band-score. You can click here to learn more about the scoring system and band-scores. Thousands of organizations worldwide accept IELTS scores as proof of English-language proficiency, and they each set their own standards for the required results. Some even require you to earn above a given Overall Band-Score while never scoring below a certain score in the individual sections as well (e.g. You must earn an Overall score of 7 while having never earned lower than a 6 in Writing or Speaking). In the video below, I’ll show you how to determine if your desired university or company accepts IELTS results, and the exact score you need to be accepted. Do you have a question about how to use the search function? Did you see your university or company in the search results? Let me know in the comments! I hope this helps you to better answer the question, “What is the IELTS exam?” as well as understand the different parts that make it up. You should also be able to use the search to find the score you need to achieve for your desired organizations to accept you! We’ll continue to provide more detailed descriptions of each section, as well as the strategies and skills you can use to increase your band score. If you found this useful, please feel free to start browsing through our blog for more! What part of the IELTS test do you think will be the most difficult? What would you like us to write about for you? Let us know in the comments below! This entry was posted in IELTS Student Resources and tagged IELTS overview, what is the IELTS exam?. Bookmark the permalink.